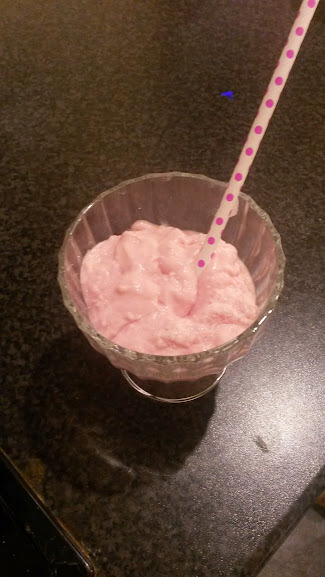 Angel Delight was launched in 1967 by Birds and was really popular in the 1970's when I was at school. I remember having Angel Delight at school and pestering my Mum to buy it as I really liked it, my favourite was the chocolate flavoured pudding. After leaving school I didn't really eat it agin until I joined Venture Scouts and Angel Delight was an easy pudding to take when we were camping. It was also great to take when backpacking as it was lightweight and all you need to do is add milk and whisk, leave for 5 minutes and your pudding is ready to eat. 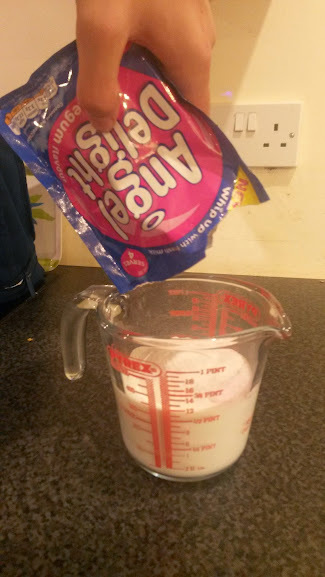 Tesco launced the new bubblegum flavour in September and we recently received a couple of packs to try along with a fancy glass dish and spotty straw. 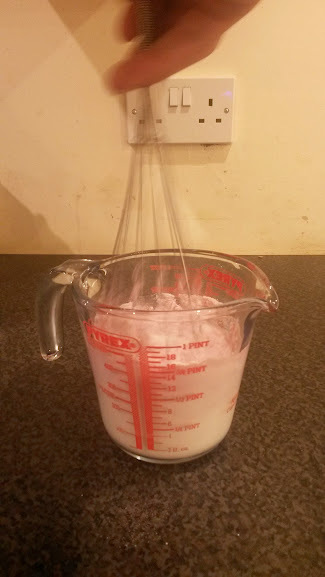 William & Luke decided to have a go at making it first they added the Angel Delight to 300ml of cold milk. Finally they put it into the glass dish, ready to eat. 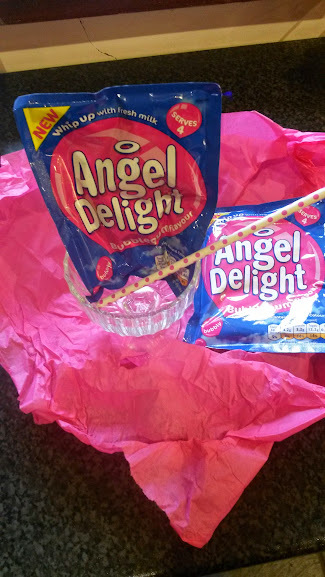 What are your memories of Angel Delight?